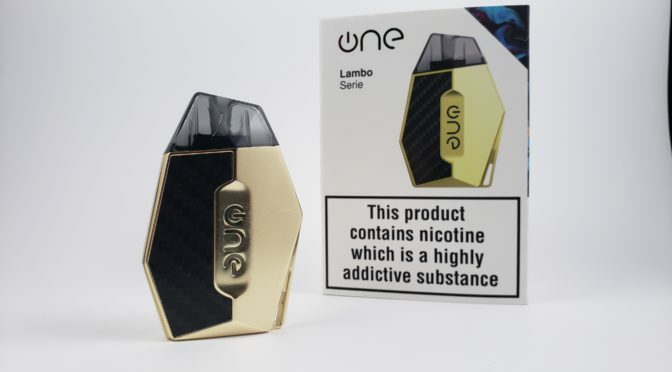 The OneVape Lambo was sent to me for review from HeavenGifts.com. This device comes from a company I’ve never heard of before, but they’ve created a really great product here. 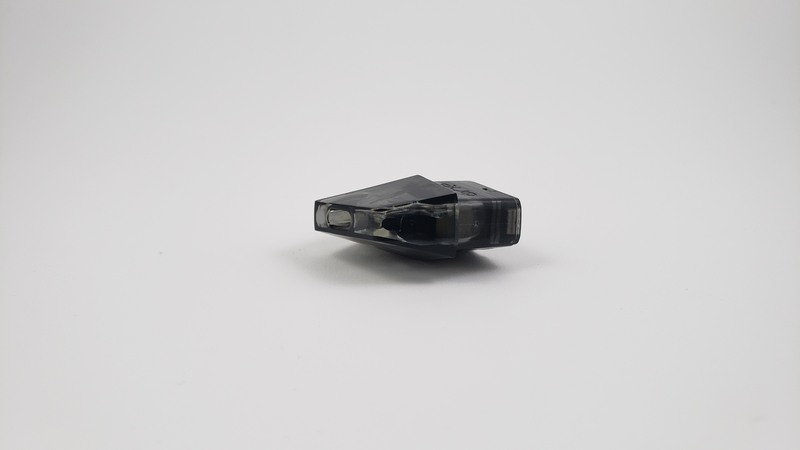 It’s pretty obvious from just a quick glance that this device is named after the Lamborghini. Lamborghini’s aren’t always boxy cars, but they are known for the sharp lines and exaggerated proportions. That’s clearly going on here too. Personally, I really like the look of the device. If you look near the bottom, you’ll also see that there’s a little slot here where you can connect a lanyard. And if you put this in your hand, you’ll see that it really feels like a luxury item. The design is gorgeous and the weight makes it feel real solid and sturdy. As for the size, it’s pretty compact. You can easily palm it, and it’ll slide right into your pocket without being bulky and annoying. And like I mentioned, it has some weight to it, but it’s not heavy. It just feels solid and strong. You might wonder how it feels to vape with all of these angles going on. Or you might not, but I wondered before trying it. And it’s not uncomfortable at all. The device is so small that it feels nice in the hand. 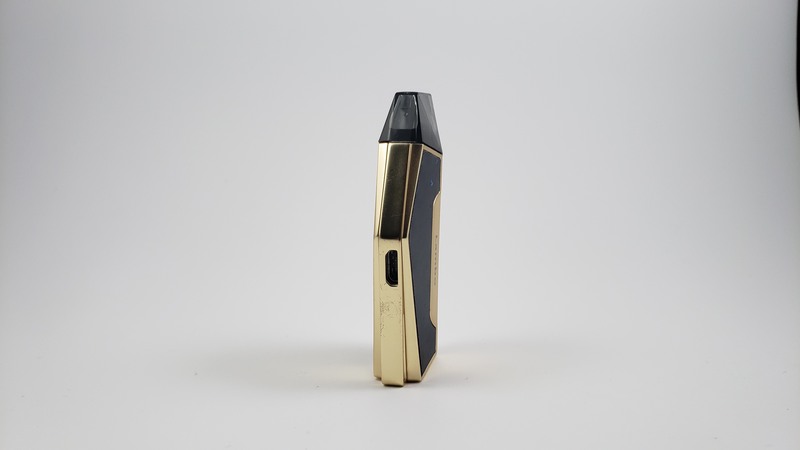 The pods hold around 2ml’s of e-juice, which isn’t a lot, but 2ml of high-nic can go a long way, which is what these devices are designed for so it works perfectly for that. 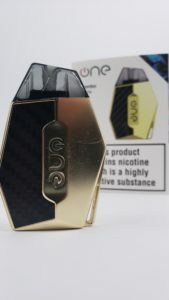 The pods are refillable and OneVape suggests that they should be replaced after five refills. They’re also simple to fill. Turn them upside down, pull out the plug and fill them up. 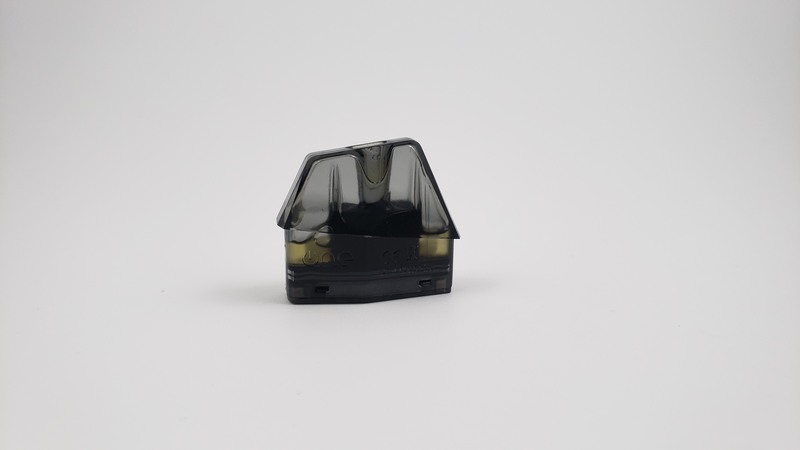 The fill hole is big enough so that you can use a glass dropper and not make a mess, so that’s nice. OneVape’s recommendations for these are to use 70vg/30pg e-juice for best results, but nothing less than 60vg/40pg, otherwise it’ll leak. Something I’ve learned too, is that you really do need to let new pods sit for a several minutes before vaping. I totally destroyed the cotton in my first pod by vaping after letting it sit for only about a minute. I meant to let it sit longer, but I wasn’t thinking and took a hit. So yeah, I would suggest letting it sit for about 8 minutes like it says in the user manual. 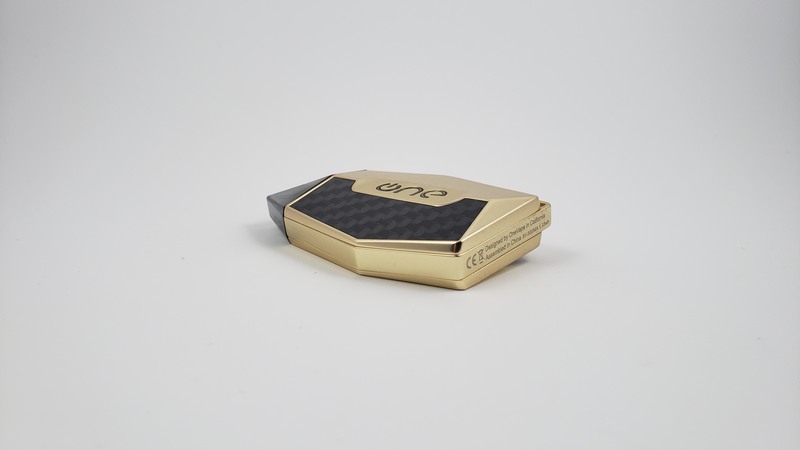 OneVape says that these pods are using a circulating convection airflow for better flavor and performance. I don’t know exactly what that means in this application but if you think of a convection oven, the oven has a fan that circulates the heat all around the oven, rather than focusing it on only one spot. So is that actually what’s happening in the Lambo pods? I have no idea. 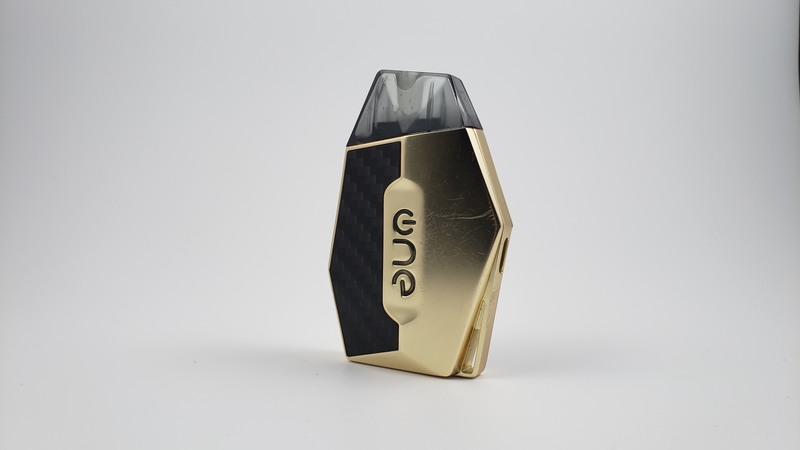 The images from OneVape;’s website show the airflow comping up from the beneath the coil, through the middle, up from the sides, and horizontally from the top from both sides as well. That doesn’t look like it’s circulating to me and it doesn’t look any different than how airflow usually works, but maybe I’m missing something. So I can’t say whether it’s actually a convection airflow or not. As for how the pods feel while vaping, they are actually pretty comfortable. They have really good suction too. The mouthpiece is comfortable and I don’t have any problems with the shapes getting in the way. 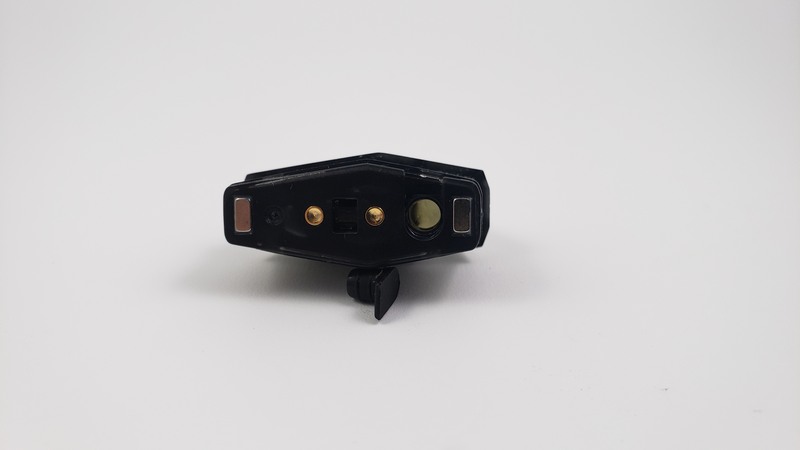 The letters on the front of the device say “One” and those letters are also the LED lights that indicate battery life and if the device is firing. They can light up in three different colors; blue when you’re taking a hit, red when you’re charging, and green when it’s fully charged. 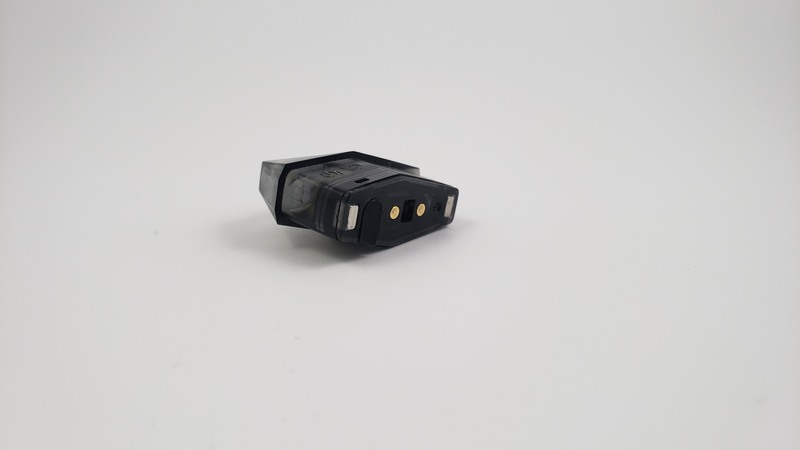 The battery is an internal 360 mAh internal battery that you charge using the included mini USB cable. It’s a pretty good sized battery for a device this small and OneVape says it should be enough for about 270 hits. This is a draw-activated device, so you just take a drag and it activates. The airflow provides a very satisfying mouth-to-lung hit. They really hit the nail on the head with this one, or at least for my own personal preferences. It’s not airy and it’s not tight, but it’s right in the middle. It just feels perfect. It’s also very smooth and not turbulent at all. So that’s it for the OneVape Lambo! The design might not appeal to everyone, but hold one in your hand and you’ll see that it’s luxurious, comfortable, and built with quality in mind. The flavor is good, the airflow is excellent, and the pods perform great. 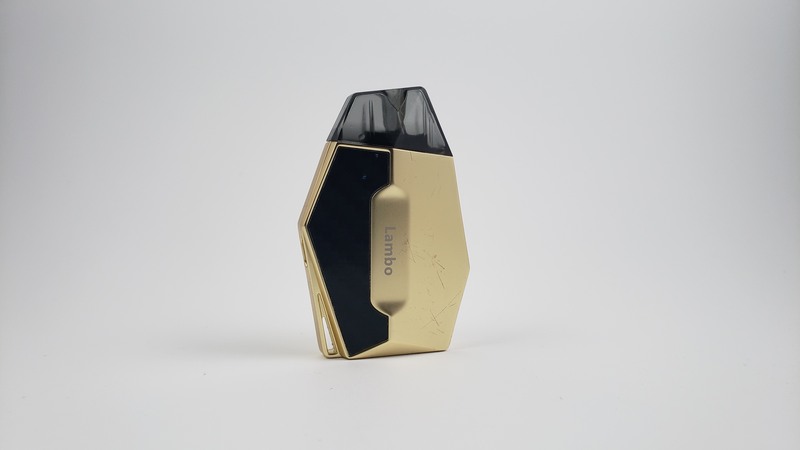 I think if you like the design and you like pod devices, you’ll like the Lambo. This was sent to me for review from HeavenGifts.com and you can get it from them for about $39.99.